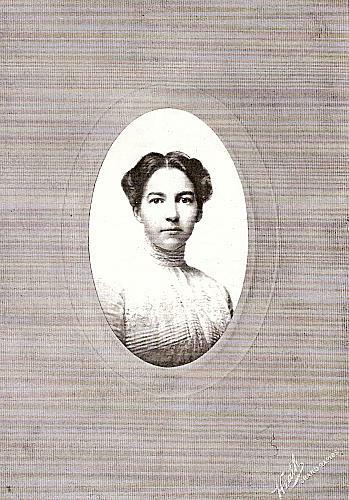 After graduating from Central High School, Mary, born in 1873, attended Wellesley College in Boston, and earned her bachelor's and master's degrees in 1896 and 1898. She continued her education at the University of Chicago where in 1903 she completed her Ph.D. in zoology, with a dissertation on bacteriology. Mary then taught at the University of Chicago for seven years where according to the board of trustees' minutes she earned $500 a year. She was also acting editor of its Botanical Gazette. This was not a small feat for a woman in science in the early 1900s. The number of colleges allowing women into their masters programs, let alone the doctoral, was minute. Mary is cited in both of the volumes listed in the bibliography. Why Mary returned to Grand Rapids in 1910 is still a mystery. After teaching at the University of Chicago, did Mary turn away from what might have become a brilliant career in science to assume duties she felt more urgent back home? Did she experience frustration in her academic environment? It is a fact that her mother passed away in 1910: perhaps that event brought her home to assist with family matters. Within five years both her father and her brother George had also passed away. Mary moved into George's home at 442 Fountain Street and took over custody of her two nephews. And, although she never married, Mary soon adopted a son, Albert. Perhaps it shouldn't surprise us that almost immediately upon returning to Grand Rapids, Mary had become involved in social service work. She contributed especially to the development of the D.A. 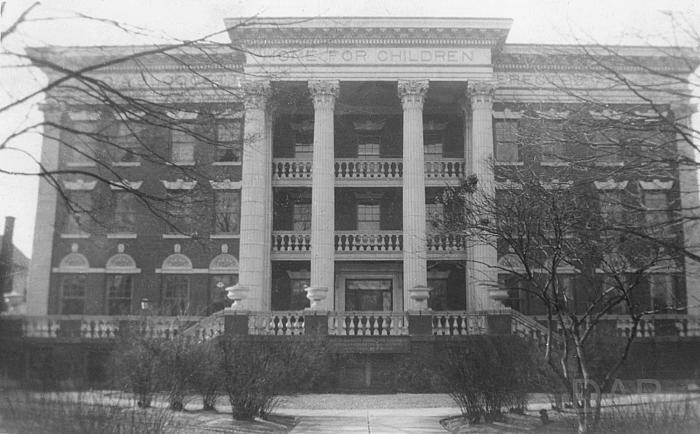 Blodgett Home for Children. First elected to the board of directors in 1915, Mary remained with the agency for many years. She was the inspiration for and impetus behind hiring its first social worker and moving its children out of the institution and into foster care programs. Working with the Federation for Social Agencies, which later became the Community Chest, Mary used her professional expertise to improve child welfare and general health services in Grand Rapids. 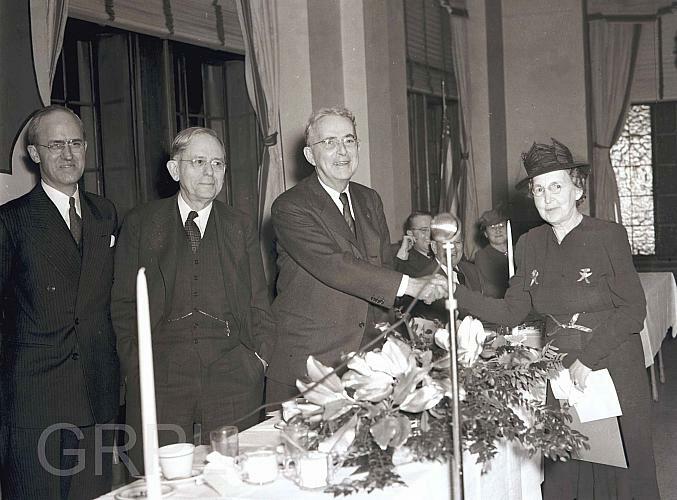 In 1942, the Fifth Annual Community Chest Award was given to Mary for 25 years of dedicated service. She was the first woman to have been awarded this honor. A dedicated and willing worker, she held many other positions over the years; she served on the Woman's Committee of the Council of National Defense in 1918 and later held office in the Grand Rapids Historical Society. Mary characterized herself "as a perennial in the garden of voluntary social work." That language points to another facet of her life. Mary nurtured her love of botany, gardening, and farming during the months between April and Thanksgiving which she spent at the family home in Eastmanville. All summer long her efforts and pleasures as an enthusiastic flower lover went into the land. Mary boasted a plentiful vegetable garden and in later years harvested and canned for others. In one article Mary claimed she was a good husker of corn and milker of Jersey cows. Her love of gardening was evident in her involvement in the Kent Garden Club, but especially in the Wayside Garden Club in Coopersville. 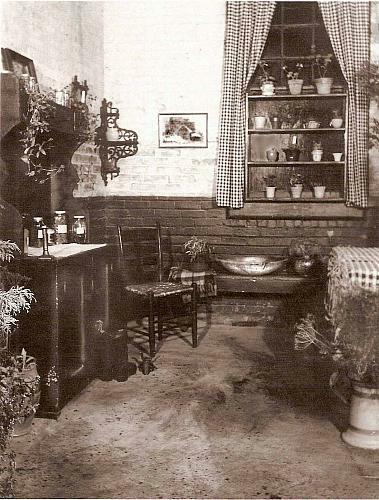 Mary helped establish an "Herb Kitchen" for the Wayside club, and presented lectures such as one on "Medicinal Weeds and Herbs." Bailey, Martha J. American Women in Science: A biographical Dictionary. Santa Barbara, CA: ABC-CLIO, 1994. Woman's Who's Who of America. A biographical dictionary of contemporary women of the United States and Canada, 1914-1915. Edited by John William Leonard. New York: American Commonwealth Co., 1914.